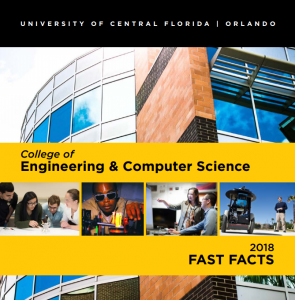 Provides a quick overview of the college, with numbers and statistics. 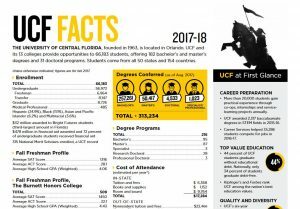 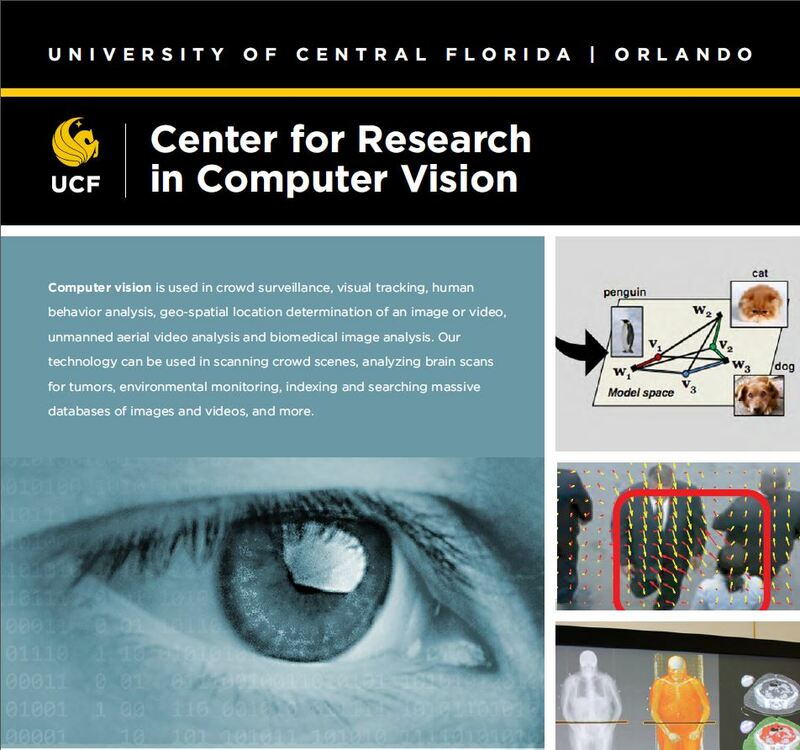 A reference sheet of facts about the University of Central Florida, including enrollment, tuition, facilities, rankings and more. 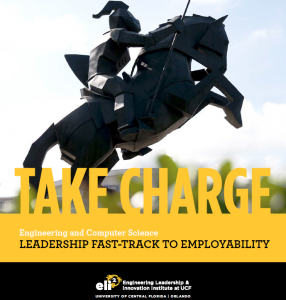 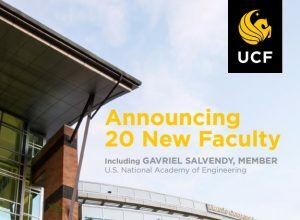 An in-depth summary of the undergraduate opportunities offered by Engineering Leadership & Innovation Institute at UCF. A progression chart that describes the lifelong opportunities offered by the Engineering Leadership & Innovation Institute at UCF. 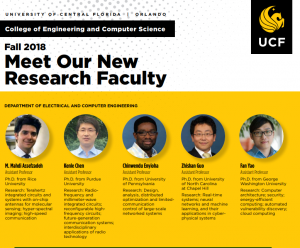 Our college’s new tenure-track faculty and their research focus areas. 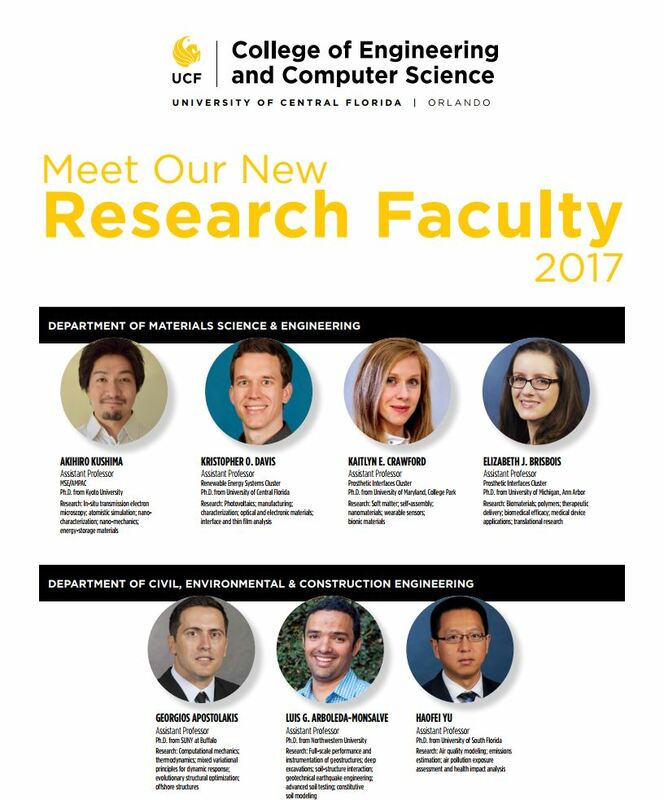 Our college’s 2017 faculty and their research interests. 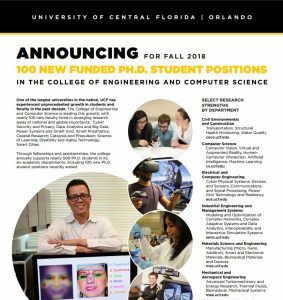 Announcement flyer for prospective graduate students. 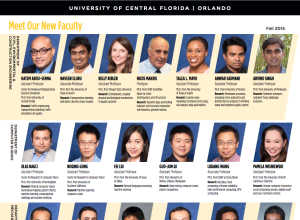 Our college’s newest faculty and their research interests, listed by academic department. 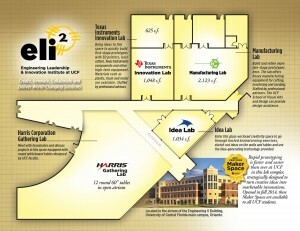 A handy guide illustrating the layout of the UCF Certified Maker Spaces in the Engineering II Atrium at UCF, and the prototyping process, from idea to product. 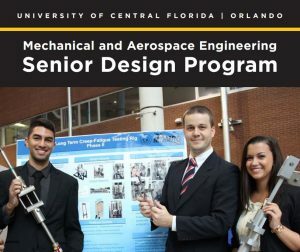 Describes the benefits of sponsoring a Mechanical and Aerospace Engineering senior design team. 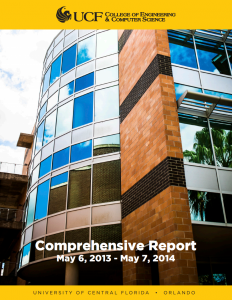 A four-page brochure showcasing CRCV’s faculty and successes.